We have been supplying external doorsets to our customers for over 15 years, and were one of the first companies in the UK to offer this service. During this time, building regulations, with regards to external doors, have changed dramatically, and continue to do so with some regularity. Keeping abreast of these changes is a key part of our external doorset business, and our industry insight and knowledge is second to none. Adopted following the Kyoto Agreement, building regulations surrounding external doors mean that they are required to meet an ever evolving list of requirements, introduced to create a worldwide reduction in greenhouse gasses. To ensure we adhere to all of these regulations, all of our external doorsets are fully CE certified, meaning that at the time of installation they are fully compliant with all building regulations. Our guaranteed regulation compliance, along with our well-known and trusted end-to-end service, means that working with ABL doors is always a hassle-free experience. Our supply, manufacturing, delivery and installation services perfectly complement one another to ensure a great value, hassle-free service, every time. You can find out more about our end-to-end service here. At ABL, we have access to a huge range of external doorsets, including those made using the most popular, eco-friendly materials such as GRP, composite & steel, all of which are fully CE approved. 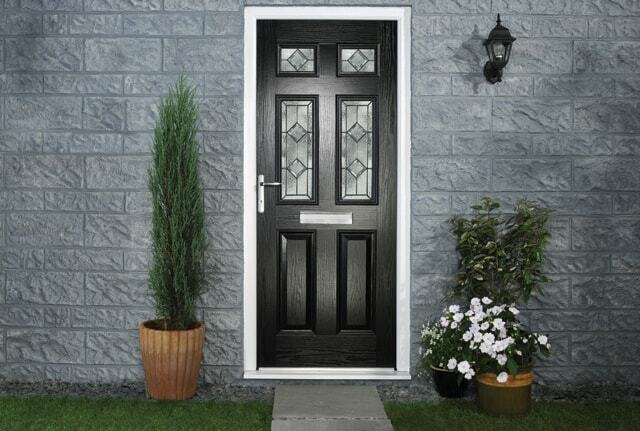 Below we have listed out just a few of the styles of external doorset available, but our range is so extensive it would be impossible to show it here in its entirety. Please get in touch with us, to allow our specialist sales team to help you source the perfect external doorsets for your development projects, ensuring external door sourcing and installation are as easy and cost effective as possible.